This Murano glass round concave pendant will give the perfect artistic touch to any outfit. 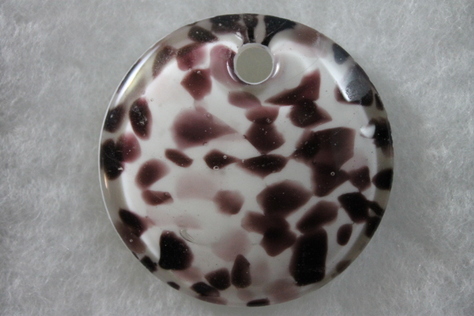 Adorn your jewelry with the vibrant colors, brown, amber, beige and white, of this glass pendant. Each pendant is handcrafted using a layering technique so colors won't rub off, wash off or fade. Due to the handmade nature of this product, color differences may occur between the actual product and your computer screen. Be a queen for a day when you wear this Venetian beauty and be prepared to turn heads. The pendant measures 2 inches.